We offer a wide range of services in order to assist your organisation in fulfilling its Health and Safety responsibilities, including training. In a world of ever increasing and changing legislation, our experienced Health and Fire Safety Consultants are able to assist your organisation in meeting their statutory obligations. We can help you find the missing pieces to the puzzle. 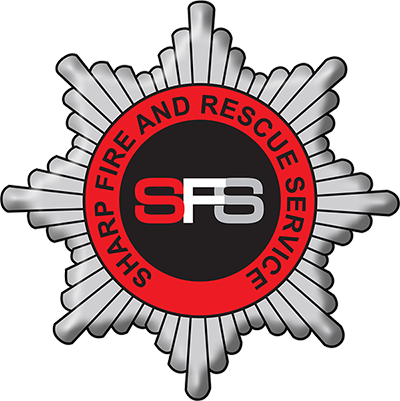 Sharp Fire & Safety is also registered to work on Natural Gas Installations and our engineers hold the relevant qualifications to work on both domestic installations and appliances. Please contact us with your specific requirements for a competitively priced quotation. In order for an employer to fulfil their responsibility to comply with the Electricity at Work Regulations 1989, it is necessary to implement a programme of inspection and testing of all portable electrical appliances used by employees. We understand the potential disruption that portable appliance testing can create on the working environment, with the necessity to switch off and unplug portable appliance for testing and the loss of precious working time that this creates. Not only can we conduct testing during normal operating hours, but we can offer testing phased over weekends and evening visits, ensuring that testing is carried out with the minimal amount of disruption to your daily work activities. Competent engineers, who have passed the City and Guilds Examinations for Inspection and testing of Electrical Equipment, will carry out all the testing using calibrated test equipment. Printed test results will be supplied and each item will be issued with an individual identification barcode label, and depending on the outcome of the test a pass or a fail sticker.